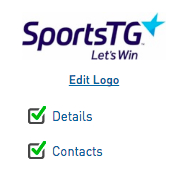 The 'Details' section allows you to store and manage basic contact details and information about a club or association, including postal address, phone number and email. One of the first things you should do when setting up your team, club or association in Membership is to add this information. Keeping club details up to date is particularly useful as it ensures that the levels above (Associations/ state bodies/ national bodies) can effectively communicate with their clubs. 1. Log into Membership at the club or association level of the database. 2. The 'dashboard' for the association/ club will appear. Click on the Details link or Edit next to the 'Details' heading. 3. The Details screen for the association/ club will open. 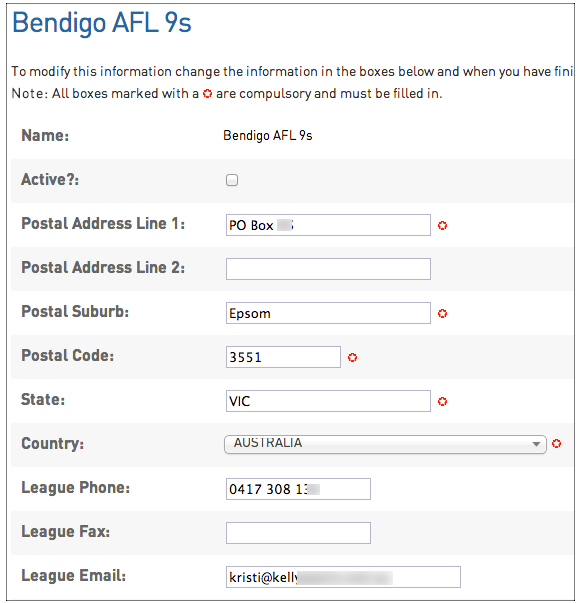 Enter the information (fields with a red asterisk are compulsory fields). 4. Click Update Information to save the changes. 5. A message will appear confirming that the details have been updated.